Off-Leash K9 Training, LLC is one of the highest rated dog training businesses in the United States! With over 115 locations nation-wide, we are the fastest growing dog training company in the world. That being said, we’re proud to bring it to the Long Island area! We offer several different packages in order to give clients the opportunity to decide what program best fits their lifestyle. Our training technique is designed to work for dogs of all ages, breeds and sizes! The Off Leash K9 Training system is a proven system that changes both owners’ and canines’ lives for the better. Our company is made up of handlers with experience and training ranging from different branches in the military to rescue and shelter volunteers, and even former veterinarian technicians. We guarantee a 100% obedient, 100% off-leash, and 100% distraction-proof pup at the end of our program! Your dog will be trained to have the same level of obedience as most police/military working dogs. Working mainly with household pets, we are able to offer you and your pet an exceptional level of obedience, which allows you to bring them anywhere and everywhere with you, hassle-free. What we enjoy most is seeing dogs that have spent their whole life on a leash, now being 100% off-leash and obedient! We thrive off of seeing the joy in both the dogs’ and the owners’ face when they have mastered a new command without the restriction of a leash. Since doing the 2-week board and train, I highly recommend Off Leash K9 Training to everyone I see! We are blown away with the results. 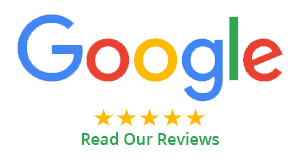 You may not be able to ship your dog off of boarding school, but you can take them to one of the highest rated dog training companies in the nation. 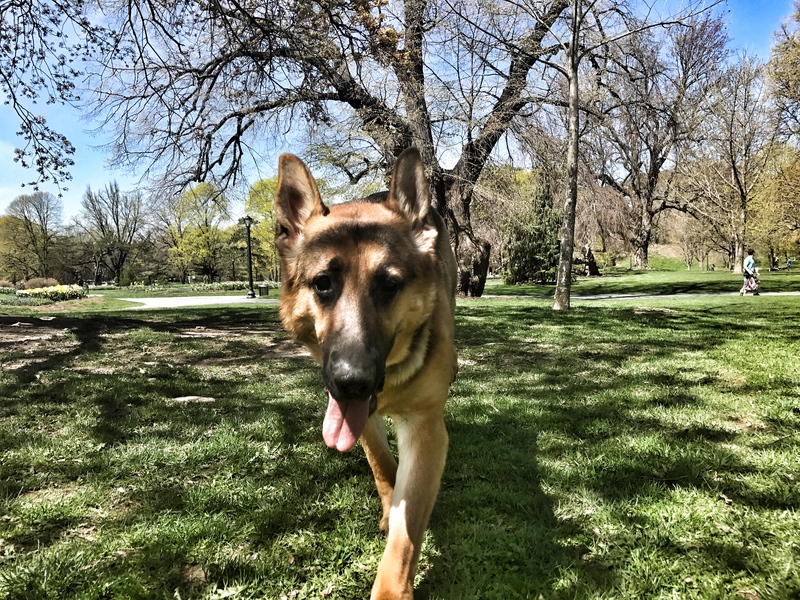 Long Island Off Leash K9 Training helps dogs all across the nation become their best good boy, learning to leave behind bad behavior and replace it with the obedience that you need from them. In no time at all, you will never have to worry about leaving them alone, or leaving them around others. Even though our company has over 115 locations across the nation, you can still choose us as your trainer for Long Island and Long Island communities. We are the convenient choice for anyone looking to gain an edge in training their dog, whether they are young puppies, older dogs, or any age in between. Our methods are safe, effective, and tried and true. We have helped people all around the country find the obedience that they need from their household pets, and we are ready to help you. And if you are still not convinced, dog owners from all walks of life recommend our services. In fact, our company has helped celebrity dog owners as well, including Ryan Reynolds, John Cena, and even Oprah. While most of the dogs that we help are not famous, we offer a full range of training services to help more dogs, in and out of Hollywood, achieve their best obedience. Whether you have grown tired of fighting with leash pulling, aggressive tendencies, bathroom accidents, and any other issue, our professional dog trainer team will make sure that your dogs receive the attention and personalized coaching that they need to turn their behavior around. There are few things as sad as hearing that a family was forced to give up their dog because it was acting too aggressively. This is especially true when they have the option of a local dog trainer who provides top quality training services. Rather than giving the dog up for adoption, send it to the pound, or worse, completely abandoning it altogether, they could have taken their pet to us, and we would have given them the transformation that they were looking to achieve. If you struggle with your pet and you are not sure what to do, let us help you with the best training services in Long Island, MA. Choosing Long Island Off Leash K9 Training is the ideal choice as we offer a dedicated puppy class. Some training teams will not offer this service, as they tell owners to simply wait and see if the behavior clears up on its own. However, with many dogs who experience behavioral issues, the cause is often triggered by certain stimulus or inactivity. And more basic obedience needs. Our dog behavior training classes are among the most popular services that we provide. Many dogs wind up developing bad behavior after a major life event, whether it be from changing residences, children going off to college, or any other major change from their everyday routine. Because of this, many pet owners quickly become frustrated and unsure of what to do to correct their behavior. If you find that you are pulling your hair out over how frequently your dog ignores commands or if taking them out for their daily walk is a chore that you never look forward to, just bring them to us. We will ensure that they begin to focus on the things that they need to to make your life simple again. Aggression training is a popular need for many area dog owners, as well as dog owners from all over. Whether you took in a stray dog or rescue pet, or your dog simply seems to have a knack for snarling and nipping at every little annoyance, our best aggression training course will make any dog safe to be around once more. We understand how frustrating it can be when you can no longer take your dog outside for fear of what they may do to other dogs or even other people. And nothing is scarier than being afraid of your dog while being in your own home. If you find that your pooch is a liability to yourself or others, you do not have to get rid of them. Instead, allow our team of dog training professionals takes a bite out of their aggression. We will get to the bottom of why they continue to act out, as well as ensure that their bad behavior is curbed before an incident occurs. Our eight class course has private lessons for both you and your dog which provides instruction, exercises, obedience, and desensitization, allowing you to restore peace in your home once again, as well as achieve that relationship with your pet that you have always wanted. How many times have you come home from a long day of work to discover that your pet has left little “accidents” all over your home? Or how frequently do you struggle with getting your dog to actually “go” when you take them outside? Doggy Potty training is not just for puppies, either; many dogs struggle with daily bathroom habits, and this can quickly drive even the most patient owner mad. You could purchase low-quality potty training tools from your local pet retailer, or you could have the trainers at Long Island Off Leash K9 Training provide your pet with better instruction. In no time at all, we will instruct your dog how and where to go, decreasing the risk of finding droppings and even helping to prevent urinary health problems down the road. 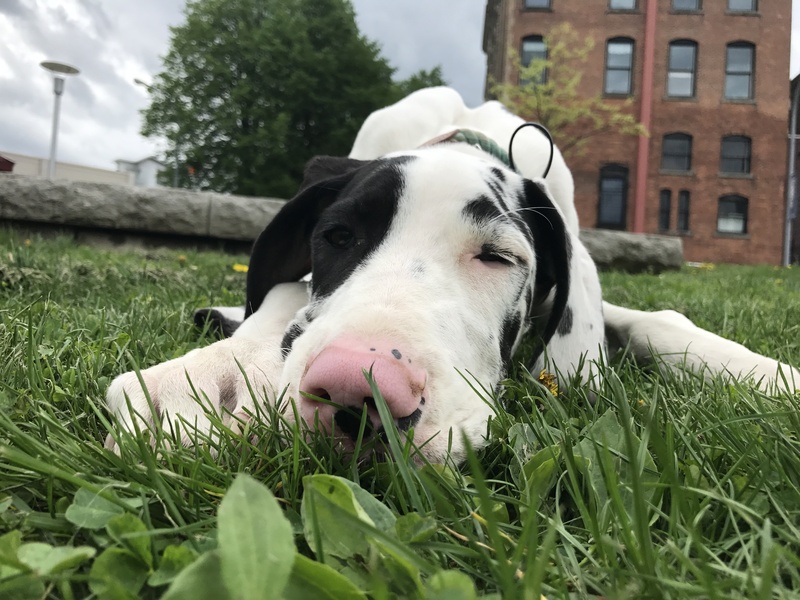 Whether you are struggling to teach your young puppy how to go potty or you need assistance with an older dog, we have all of the tools and experience that you can rely on each time. Just as a parent may send a troubled teen to a military boarding school or even to basic training, doggy boot camp has long been a similar option for advanced behavioral training for canines. Doggy boot camp is a specialized training program that combines the best elements of our boarding training, aggression training, behavioral training, and more, to ensure that even the hardest to live with dog receives the attention they need. Other dog boot camp programs are severe. They make sure that their owners are left in the dark about how they rehabilitate their pets, often resorting to extreme training measures without consulting the owners first. Not only will this not help the animal to understand how they are to behave, but it could have lasting physical and psychological effects as well. However, our team has always represented humane and safe training methods, treating your dog like they were our own. When you need advanced training for your animal, you need our dog boot camp training package. Advanced behavioral training is the ideal choice for those looking to have a pet that will always listen to their master. Unlike dog boot camp, advanced behavioral training courses build off of our basic training classes. Not only are the basic concepts reinforced, but we take their education further. Our advanced training program features an eight-week course, as well as an e-collar that is both waterproof and has a range of ¾ of a mile. When you need to take your dog from being a “good boy” to a “great boy,” this is the program package for your needs. Those who receive a medical professional’s recommendation about having a therapy pet will often have mixed emotions about the process, especially if they already have a dog. However, rather than hiring a separate therapy animal for your needs, why not simply give your existing dog therapy pet training? Often, bringing a therapy animal into an environment where a dog already lives can cause issues. The existing dog is not always sure what to make of them, and seeing the therapy dog care for their owner may make them go crazy with jealousy. Other homes simply cannot house another dog, and converting your pet into a therapy dog is an ideal solution for everyone involved. There is less stress, fewer animals, and a deeper bond formed between you and your favorite pet. One of the most popular training course packages that we offer is our Two Week Board and Train program. In fact, our trainers are generally booked several months in advance, so if you feel that this is the ideal solution for your exact situation, it is recommended to sign up as soon as possible. This style of training is our most effective training package for more animals, leaving them far more obedient and less distracted than when you dropped them off. In fact, we like to think of this style of training as sort of a summer camp for pets! The final lesson is for the dog owners themselves. During our final two-hour private one-on-one session, you will learn how to appropriately interact with and control your newly trained dog, as well as what to expect from them when you interact with others, as well as with other dogs. 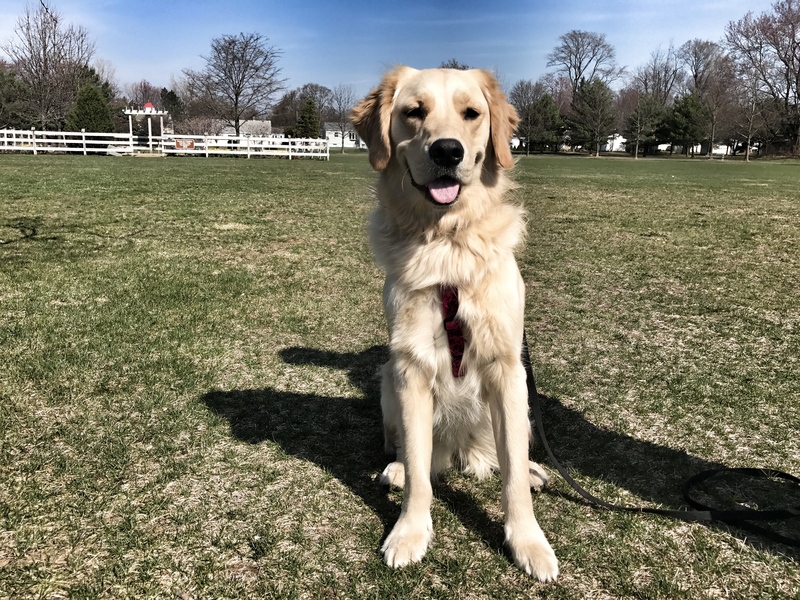 No matter what level of training your dog or puppy needs, you will always find a better class of leash training with Long Island Off-Leash K9 Training. With more experienced trainers and better results, we are the perfect choice for your dog.